By the title off this post you can already guess what this post will be about! Law Forums!! And all the tips and tricks that goes with them. If you don't know what these are, they are basically like college fairs for law school. I attended one Saturday, July 23, 2016 in Washington, D.C. at the OmniShare Hotel. I signed up on the LSAC website. If you don't know what the LSAC is, I would recommend reading All About The LSAC. I think that Law Forums are really important to attend because they allow you to get a good snapshot of the schools before applying. Not to mention, you get to talk to a law school representative in person and ask all the questions you want to about law school. It lets them get a good idea of you as a person as well as get your face out there to admissions staff. They have a lot of very informative sessions on the application process. One of my favorite ones was the LSAT specific one because they had a speaker who helped make the LSAT. What can be better than hearing advice from someone who made the LSAT themselves? It also gives you an opportunity to meet other schools that you haven't thought about. Additionally, you can network with other future law students. And the best part is that you can get application fee waivers and other free goodies!! 1. Dress Professional. You are going to meet the admission representatives for the law schools. And its usually the dean or someone on the admission staff. You want to make your very best impression on them since they might be deciding on whether you're getting in or not getting in. 2. Wear Comfortable Shoes. Your going to be walking around A LOT so please don't wear 6 inch stilettos. I would go with a very comfortable pair of wedges or flats! 3. Prepare a list of schools you want to visit ahead of time. This is not necessary but I would advise it. It gives you a good idea of which tables you want to make sure to visit. BUT Don't limit yourself to the schools you KNOW you want to go to! I would say visit the schools that seem interesting just because you never know where or what will happen in the application process. Or because there giving away cute flash drives :) Sometimes the best deal can come from a school that wasn't even on your list. 4. Prepare a list of questions. This is probably the most important thing that I didn't do! Doing research, I know what I wanted to ask but once I got in front of that decorated table, my mind went blank. I would do some research before, at least on the schools you know you want to go to! like how much tuition is? You can find a lot of information online. What are you looking for in terms of your ideal candidate? Does your school weigh the LSAT more or your GPA? What are your favorite types of personal statements? Does your school offer application waivers? What law specific programs does your school have? In terms of housing is it off-campus or on-campus? Which housing option do your students tend to gravitate more to? If housing it's off campus, do you help your students connect with one another to find roommates? If it's off campus housing, do the law students tend to live in a particular complex? If it is on campus housing, are there specific requirements for the graduate students living there? If it's off campus housing, does the complex work with you in terms of payment? Can they defer payment until your loans disperse? 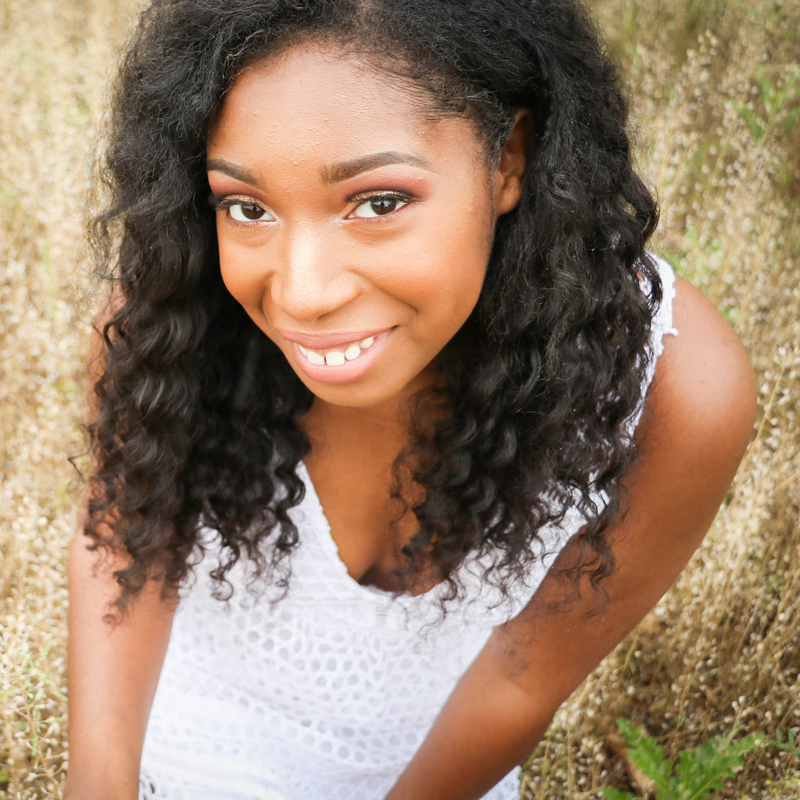 Does your school offer full tuition scholarships? What are the requirements for those? What kind of scholarships does your school offer? Merit? Need based? Both? Are applicants automatically considered for scholarships? Or is it a separate application process? What percentage of your students get scholarships? Loans? Where are your alumni working? What is your school's employment rate? About how much do students spend on books? living expenses? If a student takes the LSAT more than once, do you average the scores out, take the highest score, or take both into consideration? Does your school have open houses? Overnight hosts? Arrangements on sitting in on a class? Does your school help get their students externships? Internships? What kind of extra curricular clubs and organizations do you guys have? Any honor societies? Do the honor societies come with scholarships? What kind of atmosphere would you say is your student body? Are they very competitive, friendly? What percentage of your students are minorities? Do you have a list of recommended readings for entering law students? What kind of courses should I take to prepare me for law school? This list is by all means not complete and you should suite these questions to what helps you. 5. Bring a notebook and a pen. OR at least some kind of writing utensil and some paper. 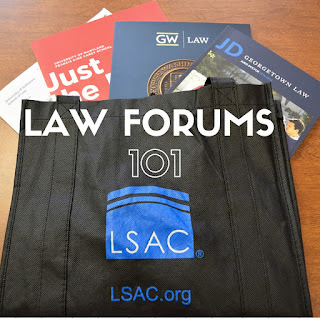 During the law forums when they talk about different aspects of the law school process, you should take notes on some of the important things that they are saying. Not to mention when you go visit schools, you might want to write down any and all information pertaining to that specific school! Like if they have a specific scholarship or deadline. It is very easy to get the information mixed up when your talking to several law school representatives. 6. Eat A Big Breakfast. The law forum that I participated in was from 9am- 4pm and I had to leave early so I didn't starve to death because I had barely ate anything before I left. And I missed out on the last minute information sessions and some law schools that I wanted to talk to because the lines were so long for that specific table! Remember, If you have any questions, I am always a email, DM, or message away!